It might be only slightly hard to read, but I am published. 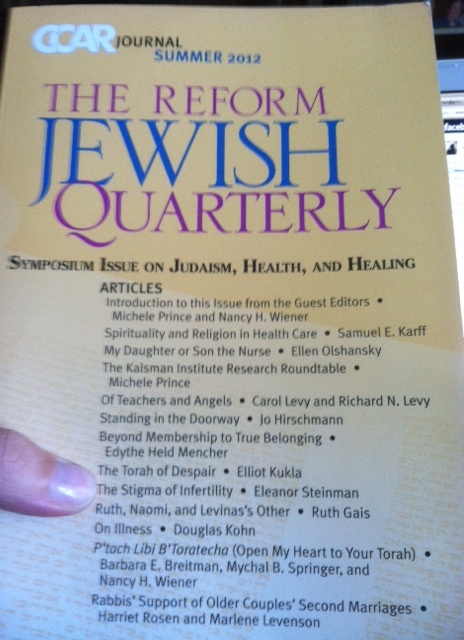 My article, “The Stigma of Infertility” is in the Summer 2012 CCAR Journal: The Reform Jewish Quarterly (pages 102-110). The article is based onmy sermon from Rosh Hashanah several years ago. You can order your own copy of the journal, here. Happy reading! This entry was posted in Torah and tagged infertility, Torah. Bookmark the permalink. so excited and so impressed. you’re awesome. sending this along to a few people i know….